Free Legal Help, Legal Forms and Lawyers. TheLaw.com has been providing free legal assistance online since 1995. Our most popular destinations for legal help are below. It only takes a minute to join our legal community! If you need to hire an attorney, get a case review from a lawyer! Discussion in 'Speeding Tickets, Traffic & Moving Violations' started by sammy000, Feb 3, 2019. About a month ago, my friend picked me up for work and Told me she had just been pulled over for running a red light she did not run. On her way to town to pick me up (lives out in the country part of town, curvy roads and so on..) the roads were fairly icy, so she did her best to avoid black ice and stay closer to the middle of the road until she was safely in town. She drove another mile or two down on Wilkerson blv when an officer pulled out from a side road and followed in behind her. He then follows her roughly another 3 miles with no problems until they come to a red light which she stops at. Blinker on, behind the white line. The light turns green and she begins to turn left. Half way through the light the officer throws on his lights and pulls her over. Once at the vehicle he of course asks for license and registration (which she had registration but could not locate at that moment. Found it later in the visor) then asks her if she’s on drugs!? She tells him of course not! Hands him her license and insurance. He tells her that a buddy of his was following her (on the county road) and claims she was swerving all over the place and that she ran a light down on Wilkerson. He goes back to his vehicle, then returns with a ticket that says she ran a light on versailles road but he’s quick to tell her she can just go on down the courthouse and pay the ticket and then she won’t have to attend court or anything. She said he seemed pushy about her going on and paying it. However on the ticket, it says non payable. My friend is adamant that she did not run any light whatsoever. Should she try to fight this? It does state on the ticket that there is a dash cam on the officers cruiser. It will exaunerate her. She can’t really afford an attorney or the ticket and court. Any advice would be a blessing. Yes, she should fight it. No attorney necessary, but it will cost time. She also might try making contact with a captain or someone higher up with the agency issuing the citation, or even making a formal complaint (in writing) about what happened. If convinced it was improper, contact with the right person could make the whole thing disappear. leslie82 and Michael Wechsler like this. Thank you for your help! It is so very much appreciated! then returns with a ticket that says she ran a light on versailles road but he’s quick to tell her she can just go on down the courthouse and pay the ticket and then she won’t have to attend court or anything. A stop sign or red light violation carries $20 to $100 in fines in KY.
A red light or stop sign violation will also add three demerit points to the motorist’s driving record. A driver can typically avoid the points by completing traffic school. The Kentucky Uniform Citation has a spot to note witnesses. If the citation listed another officer as a witness I don't think you could say it was improper since it appears that the citation may be issued upon information and belief. Make it disappear? You mean outside of court? There's a good chance that's impossible since it's been a month already and likely already in the hands of the court. Well I didn't say it was improper, I said someone with some say so in the agency might be convinced it was improper. The agency can always withdraw the citation. I also suspect if the "buddy" had been named in the citation that would likely have been mentioned in the post. There is no telling if the buddy was a peace officer. Even if so I would bet that buddy never shows for court. Anyway... Just providing options that may not have been considered. That's all that was being asked for. They may not work but are worth trying if determined to fight it. hrforme, Highwayman and army judge like this. Yeah, I've wondered about that too. I suspect I'll never know, having to live with the uncertainty and doubt. Life, enjoy it for the wonderment it offers. Okay so she had pretrial today. She went up, the officer was there. This is what we need to know: the officer says she pulled up to the red light. She began slowing down but the light turned green so she let off the brake and proceeds threw the green light. That is apparently running a red light? Is that correct? The judge set it out to March so the tapes can be reviewed. Can anyone tell me what the KY law says? That is apparently running a red light? Your description is accurate, someone failed to properly stop at the light. The judge set it out to March so the tapes can be reviewed. Can anyone tell me what the KY law says? At a red light (solid or flashing) or stop sign, motorists must make a complete stop at a clearly marked stop line or before entering the crosswalk on the near side of the intersection. And if there is no stop line or crosswalk, the driver needs to stop before entering the intersection. If the light changed to green before she made a complete stop I believe she is relieved of the requirement to make the stop and may proceed... IF it is clear to do so. The scenario given now is entirely different from what you initially provided. Is the officer testifying about his own observation or what "his buddy" told him? If there is video available them be patient and wait to see what it shows. In your initial post you said the officer was not present for the violation. Is he now stating that he observed a violation himself? Does his statement in court match what it is on the citation? I apologize for any misunderstanding. This is not my story so it’s difficult. When they went to pretrial today the officer (whom pulled her over) is claiming what is stated above. When they got to the versailles road stop light, that she was approaching it when the light turned green and she proceeded threw it. She still says that is not the case and she told the judge and prosecuting atterny she wanted to see the in dash camera that her citation states it has. So the judge asked the prosecutor if they could put it off until March to give time to review the video and that was that. For now. Reguarding his Buddy. Nothing was ever mentioned about him, however, the officers here have microphones that come on when the in dash cam comes on. That’s what the officer said. So the entire conversation that would have been hearsay will be on the video reguarding his video. Let me know if anything is unclear. Army judge, I was confused because if she hadn’t actually made it to the light TO stop, and the light turned green before she got there then how is that running a red light. If it was red when she got to the line then yes. She would have to stop. But I guess like mighty moose said.... need to see the video. Thank you everyone for your input. It’s been educational. Army judge. Thank you for looking that up for me. Army judge, I was confused because if she hadn’t actually made it to the light TO stop, and the light turned green before she got there then how is that running a red light. If it was red when she got to the line then yes. She would have to stop. All of this will be sorted sooner or later by the judge. Its always a winner if a person can take traffic school. You can do it online. Its so easy, even a 12 year old could do it. It entirely removes the stain from a drivers record. In addition, you can supply your auto insurer with the certificate of completion and receive a nice discount on your auto insurance premium. I take online driver safety school every two years just to get the extra discount on my auto insurance premium. My carrier also allows that course to suffice as an alcohol awareness course, offering me another discount. Then maybe you should should stay out of it since you apparently didn't witness the incident and have no idea what really happened. She asked for help. So I asked here. If you had a dear friend in a pinch, you wouldn’t help them? You coming here when you don't fully understand what happened and don't have all the facts is not helpful and wastes the time of the volunteers here. If you want to help her hire her an attorney. Actually she read what I wrote and said it it’s correct. Do you have any useful information? It’s completely possible the officer is wrong. It’s also possible she is. All I wanted was information on the law in Ky which army judge was kind enough to look up and perhaps to figure out how to go about getting a copy of the video before her trial. If you don’t have any useful information what’s the point of you harping on me for trying to help somebody out. She’s an older woman whose not good with computers or the like. She’s told me what she wants to know and I’m simply trying to help her locate the information. Not everyone can just run out an hire an atterny. If I’m waisting your time don’t answer. I think you have to get the video.... plus request a copy of the body camera. That way you also have him talking about this other officer. Welcome to TheLaw.com! Please take a moment and Register today! Providing legal help, information, legal forms and advice to the general public. A legal resource for attorneys, business professionals and the average person to find self help with the law. Ask a question, get quick answers. 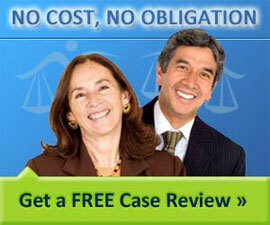 Get a free case review from an attorney. It's fast, simple and in many practice areas, it will be provided at no cost. Free legal case reviews are available in over a dozen legal practice areas just by filling out our four minute form. Legal Disclaimer: The content appearing on our website is for general information purposes only. When you submit a question or make a comment on our site or in our law forum, you clearly imply that you are interested in receiving answers, opinions and responses from other people. The people providing legal help and who respond are volunteers who may not be lawyers, legal professionals or have any legal training or experience. The law is also subject to change from time to time and legal statutes and regulations vary between states. It is possible that the law may not apply to you and may have changed from the time a post was made. All information available on our site is available on an "AS-IS" basis. It is not a substitute for professional legal assistance. Before making any decision or accepting any legal advice, you should have a proper legal consultation with a licensed attorney with whom you have an attorney-client privilege. For purposes of New York and New Jersey State ethics rules, please take notice that this website and its case reviews may constitute attorney advertising.